Just when you thought it was safe to ink. 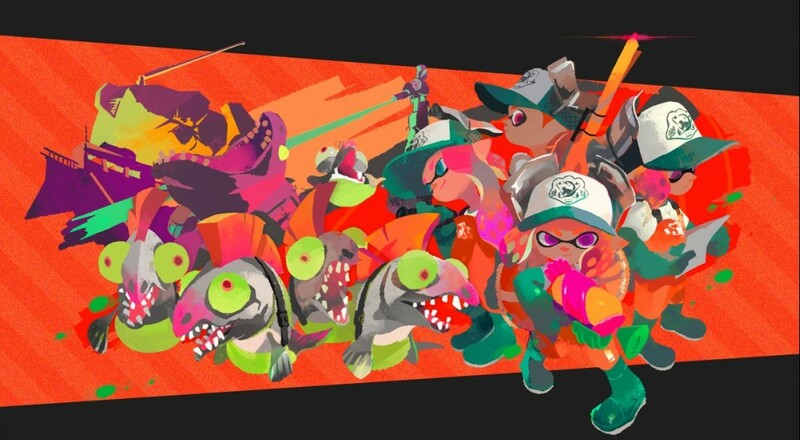 In their most recent Nintendo Direct, the eponymous titan of gaming spent a bit of time on Splatoon 2, the sequel to their squid/kid action... painter. The original Splatoon went over quite well, despite its home on the flailing Wii U, so it's quite natural that Nintendo would want to translate that success onto a console that people actually own. In case you're into collectibles, Splatoon 2 will also be launching alongside a trio of new amiibo, with new colors of Inkling Girl, Inkling Boy, and the Squid available for the section of your brain that just can't handle incomplete collections. Page created in 0.9164 seconds.